As I often did in 2010, and will do often in this cycle, I turn to Real Clear Politics for a list of recent polls. But I’m not interested in the top line numbers this time. Those have and continue to fluctuate. I’m interested in opinions of Rick Perry, to see whether his current numbers are likely to have staying power. Quinnipiac polled 1185 Republicans (MoE 2.9), targeting both landlines and mobile phones. Rick Perry among Republicans came out with 44% having a favorable view of him, to 5% unfavorable. 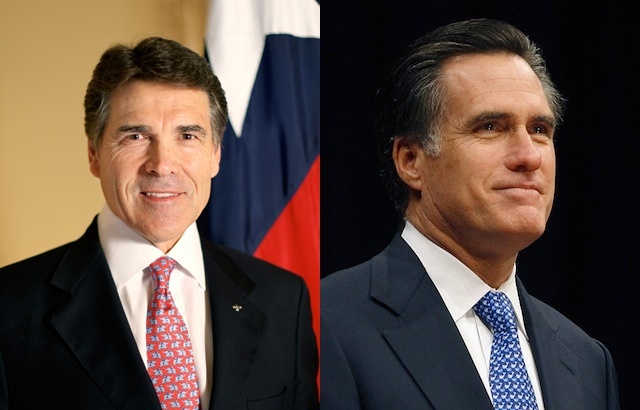 Contrast with Mitt Romney, who appears better known, but with triple the unfavorables at 57/14. Nobody else matches Perry. Not Michele Bachmann at 50/14, not Sarah Palin at 63/25. No Republican candidate or potential candidate matches Rick Perry for failing to be disliked. Even among Democrats in the poll, Barack Obama managed a 10% unfavorability rating, vs Perry’s 5% among Republicans. This suggests to me that attacks still have not damaged Perry, and he is still at risk of dropping in the polls should a debate, television ad, or other attack expose something previously unknown about the Governor. The story repeats in PPP’s poll of 663 “usual Republican primary voters,” MoE 3.8. No mention given of mobile phone or landline-only handling. Perry stands out at 64/17 to Romney’s 51/33, Bachmann’s 51/32, and Palin’s 62/30. Rick Perry continues to lead for now, but is he actually just that much better liked among Republicans, or is there still some… vetting to do, to pull out one of the most overused words of the 2012 cycle to date?